Open to its mid-point and spread out on the table, Rebecca Crowell and Jerry McLaughlin’s newly released book—Cold Wax Medium: Techniques, Concepts & Conversations—has an impressive, substantial presence. At 320 pages, it’s a bigger book than its authors originally envisioned, but that’s what happens when the right people tackle a previously unexplored topic: the urge to create something comprehensive takes over. Two years ago Rebecca Crowell and Jerry McLaughlin were complete strangers, but thanks to Jerry—who flew from California to Wisconsin to meet and recruit Rebecca with the layout for a “mock chapter” in hand—the two are now great friends, co-authors of a book and the founders of a publishing company, Squeegee Press. It’s time for a glass of wine, don’t you think? 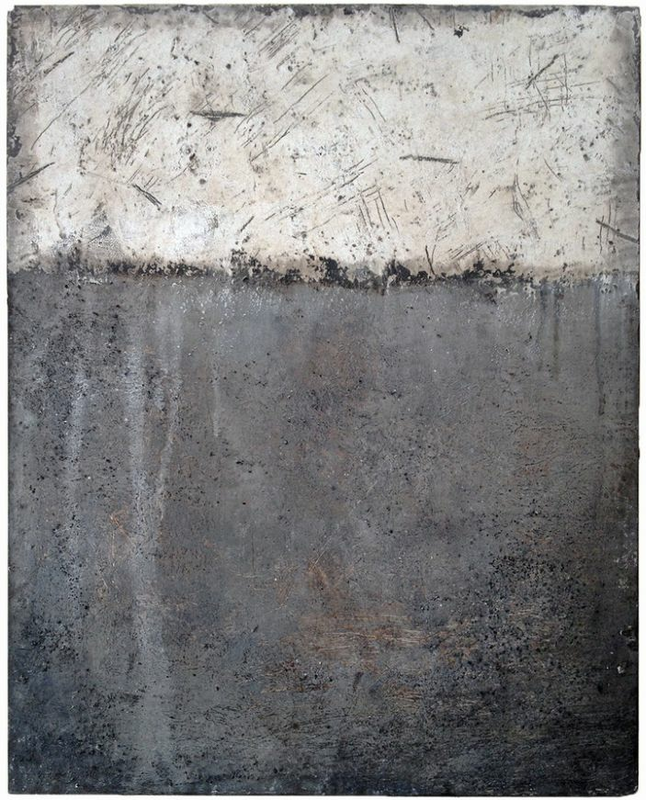 Crowell, who bought her first jar of cold wax medium in 2002, first thought of cold wax as “simply a substance that I mixed with my paint and with which I experimented and played,” but over time it has become a very familiar and flexible tool that supports her intentions and intuitions. Some of the qualities that cold wax offers—including translucency, body and enhanced drying time—have facilitated the evolution of Crowell’s richly textured abstractions. 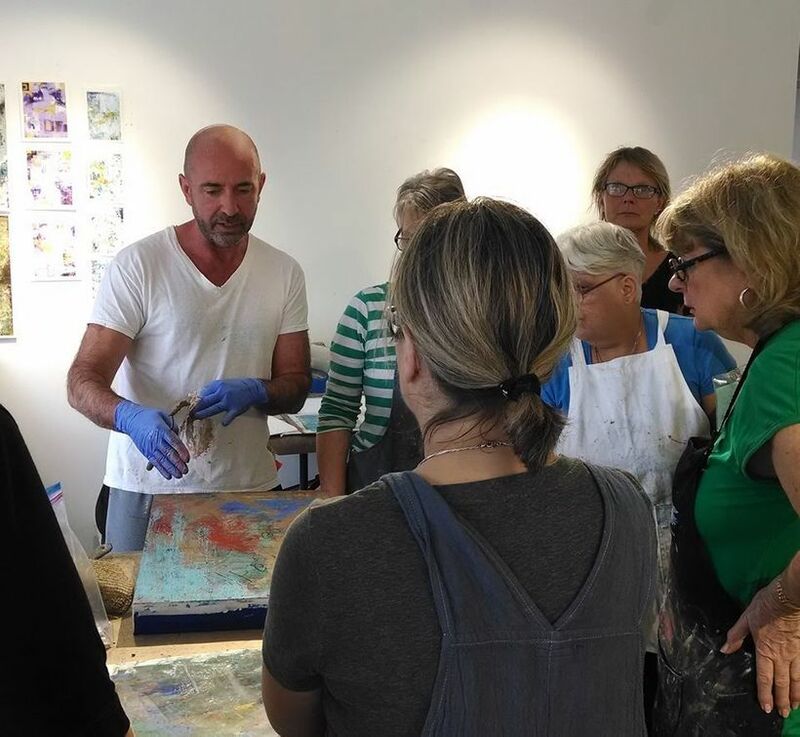 Through her travels, teaching and exhibitions, Crowell has accumulated a host of followers and part of what has made the book project come alive is the support it has received from a constantly growing community of nearly 2,000 artists. Over 100 of them are represented by images in the book itself, and an Indiegogo crowdfunding campaignto support the $27k production cost of the first printing easily surpassed its goal, raising $45k instead. What makes Cold Wax Medium such a friendly and valuable book is, in fact, the many varied and vital crowd-sourced images, recipes and techniques that it brings together. Part compendium and part cookbook, it’s a book that couldn’t have been made without the social reach of the internet. As full as it is—with information about tools, solvents, waxes and even presentation—is also supplemented by online “bonus material” that purchasers can access for free. It’s not surprising that a book with a full chapter entitled “Further Possibilities” sees itself as just the beginning. 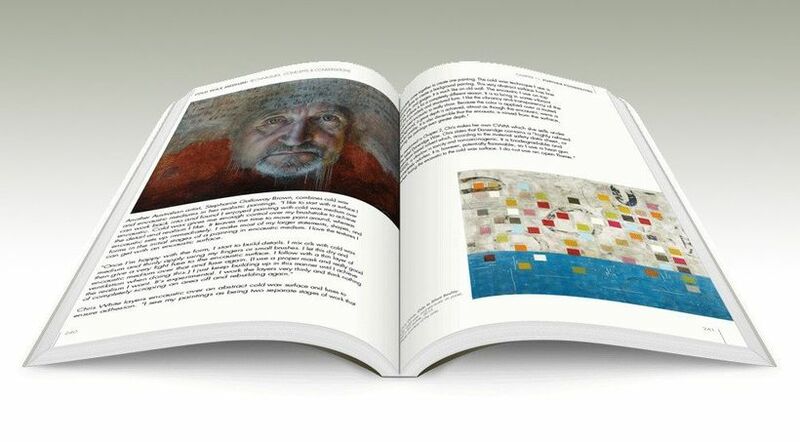 The book’s many images—which include paintings, collages, combines, prints and even sculpture—are there to provide artistic inspiration, answering what Rebecca and Jerry think of as the vital “why” question that the book needs to respond to. There are also quotes, recipes and tips from many of the artists, as well as a closing set of “insights” in a final chapter that focuses on the reflections of a selection of key artists. 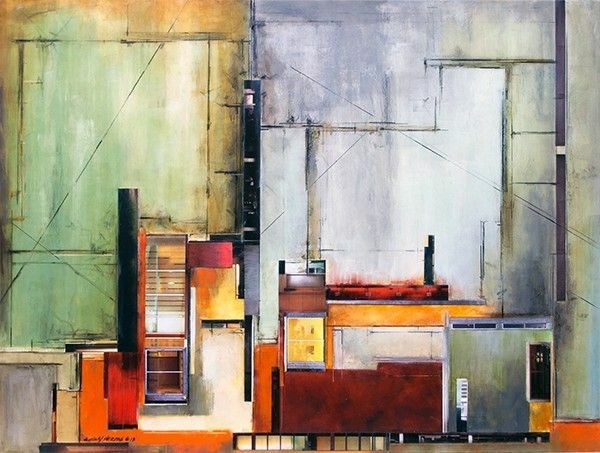 One example: artist Ginny Herzog discusses her use of cold wax to achieve fresco-like wall surfaces in her architectural collages. 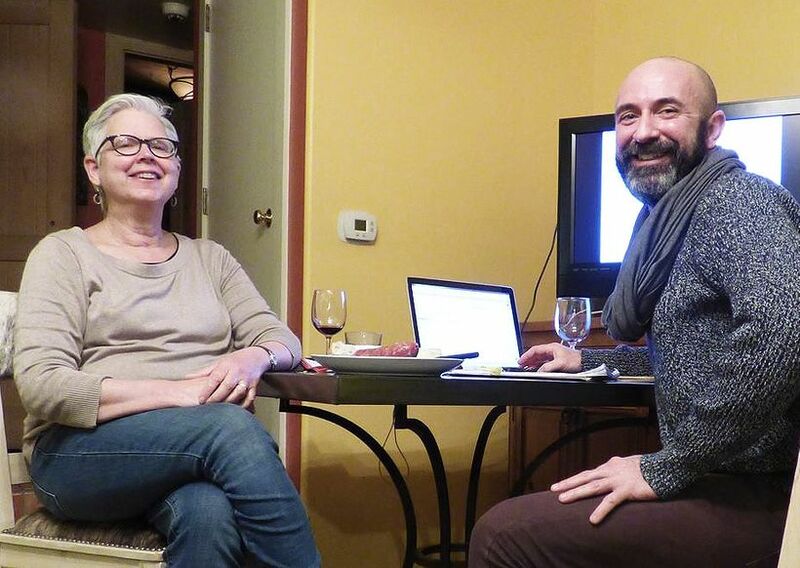 It’s a good thing—a great thing actually—that Jerry McLaughlin was able to convince Rebecca Crowell that a comprehensive book on cold wax medium as needed. As a result, a medium that has been around for a long time is having a revival. The conversations and images contained in this book demonstrate that artists have a facility for taking ideas, methods and techniques from the past and renewing them in unexpected ways. 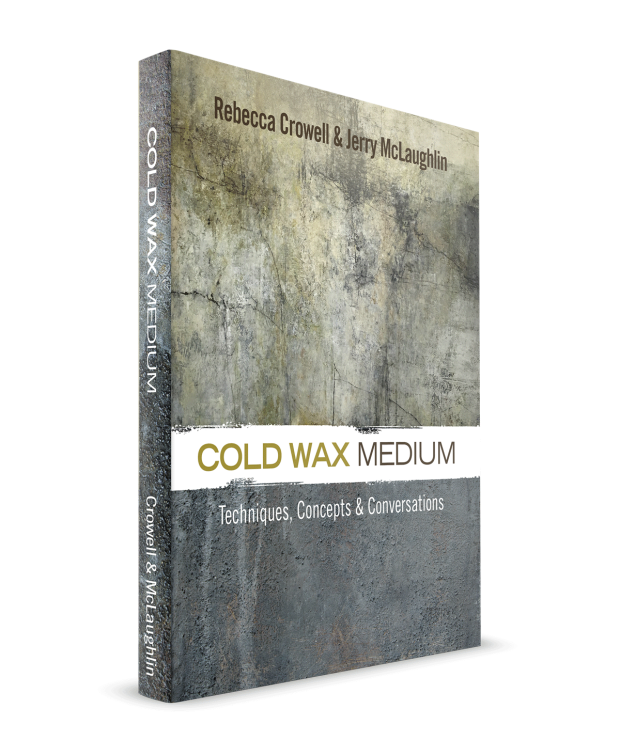 Cold Wax Medium: Techniques, Concepts and Conversations will provide both inspiration and practical information for decades to come.